This chapter will follow the course of al-Ghazālī’s life, identifying the major forces that shaped it. As a keen observer of his surroundings, he was not only swayed by these factors but also reacted to them in his writings. I will first place al-Ghazālī in his proper geopolitical setting under the Seljuq Turks. TheSeljuq control apparatus was heavily engaged with the Islamic religious establishment via law and education, especially vis-à-vis the activities of the Seljuq vizier Niẓām al-Mulk. I will look at al-Ghazālī’s intellectual upbringing in light of these liaisons between knowledge and political power. In 488/1095, after he had attained the height of renown in the state-sponsored academy, al-Ghazālī suffered his well-known epistemic crisis. He subsequently found peace in following the Sufi way, a tradition to which he had been exposed, but never so fully embraced. This Way of mystical experience would furnish the foundation of his thought during his most intellectually fertile years. 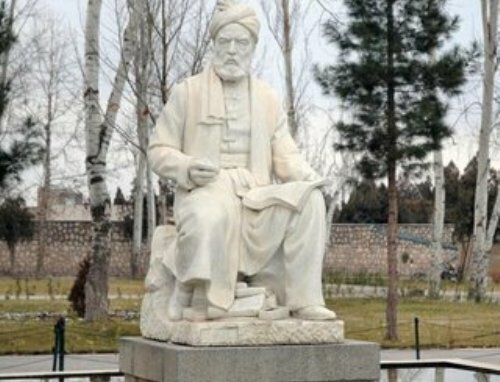 Sufism was familiar and well established in Sunni Islam by al-Ghazālī’s day, and increasingly formed the primary religious identity of its adherents. Al-Ghazālī’s birthplace—the city of Tūs in Khurāsān—lay in the historical heartland of Sufism, where “the shadow of God’s favor rested,” according to the Sufi master Hudjwiri (d. c. 469/1077). Khurāsān—now far northeastern Iran—was historically Persian and Sasanian. Al-Ghazālī’s father died when his two sons were still young. He left the boys with a Sufi friend and provided money sufficient for their early education. When this inheritance had been exhausted,the boys were committed to a traditional madrasa, a school where students were drilled in the revealed texts of Islam: the Qurʾān and the vast corpus of hadīth. Less than five years earlier, the Seljuq armies had swept through Khurāsān on their ride from the Central Asian steppes to the Islamic heartland. Al-Ghazālī’s youth coincided with the Seljuq consolidation of power in all corners of their new empire. This militarization of society was marked by incessant campaigns, omnipresence of troops, replacement of civilian with military administrative personnel, and widespread establishment of garrisons. Barbaric tribal soldiers were a highly visible presence during al-Ghazālī’s childhood in settled Khurāsān.6 He could not have failed to be aware of their activities—and of the government they maintained—well before his official attachment to the Seljuq political establishment in 478/1085.